On a particularly cold January day, I’m greeted with two smiles and a hot cup of tea. 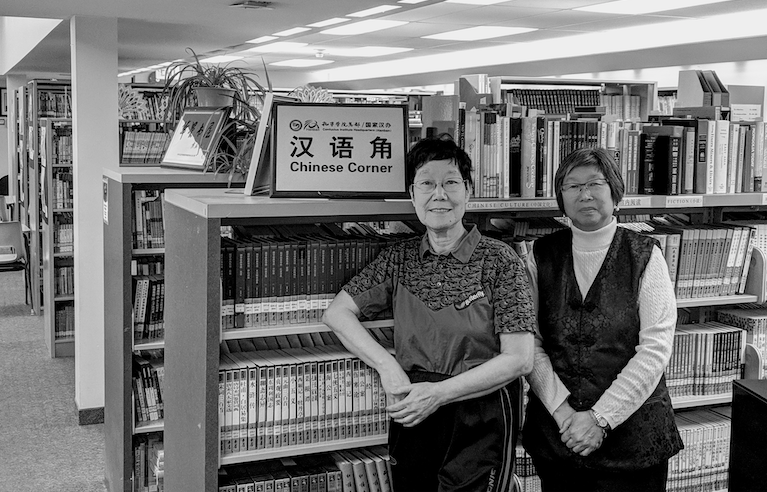 As I settle into conversation with Lai Chu Kong and Wai Ling Lennon, two members of the Edmonton Chinatown Chinese Library, their sense of pride in the library, and its responsibility for preserving the cultural heritage of Chinese Edmontonians, is apparent. “The way I see it the library has a very important job to do in promoting the value of exploring for your own sake. Once you get that knowledge, you can share it with other people in the community; then you have a group of people with common interests to maintain and promote the culture.” explains Lennon. Located in the cultural heart of the Chinese community, up a winding staircase and tucked away on the second floor of the Chinatown Multicultural Centre, the Edmonton Chinatown Chinese Library is an inviting space marked by neatly organized shelves packed full of books, and folk art instilling the value of literacy. The idea for a Chinese library for emerged in 2003. Following years of fundraising and community engagement, the library officially opened its doors in June 2009. Ten years on, the library is a hub for Chinese culture, language and education. The collection now includes several thousand items ranging from books, to periodicals, and audio-visual material donated and acquired through community partnerships. With assistance from an EHC Operating Grant in 2018, the library was able to expand its staff to two part-time librarians and one part-time administrator to assist visitors in retrieving material and managing the community programs in the space. But how does a library stay relevant in the digital age and keep people coming through the doors in a part of Edmonton that many don’t often choose to explore? “It’s going to be a big challenge,” says Lennon. It’s not all whispers at the library though. Several days a week the library plays host to community events and workshops. 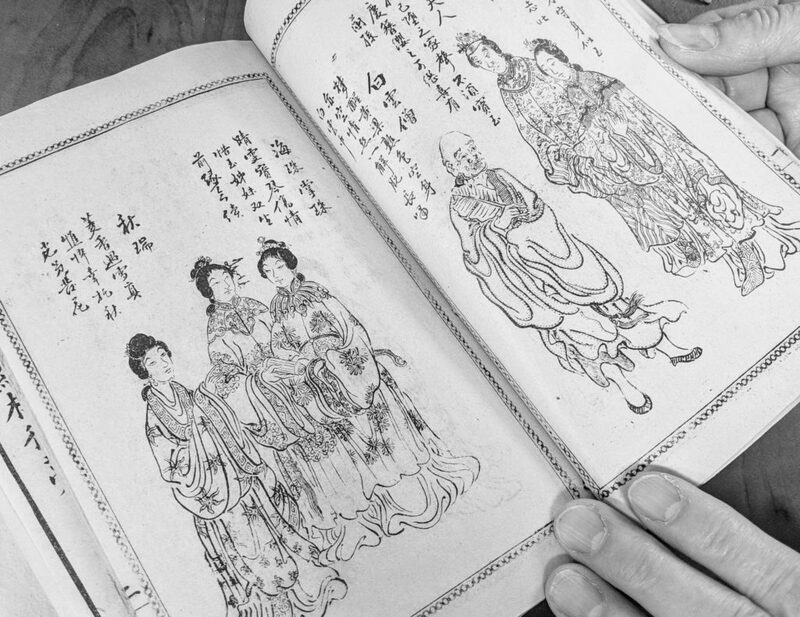 Moreover, the library’s volunteers have taken an active role in preserving the cultural memory and history of early settlement experiences of the Chinese community in Edmonton. 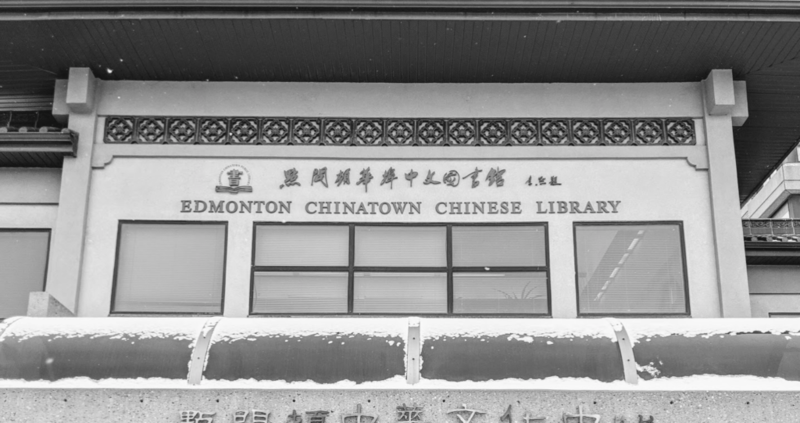 Moreover, support from a 2017 EHC Project Grant allowed the Library to launch an oral history project to collect stories from early Chinese pioneers in Edmonton, many of whom arrived as immigrants, settled and flourished in the original Chinatown (subsequently relocated several blocks East to build Canada Place in the 1980s) along the eastern stretch of Jasper Ave. The oral history project aims to collect oral histories from community members aged 69-96; documenting their experiences, the challenges they faced when they first arrived, and the process of building a life and their families in Edmonton. To date, the library has collected twelve oral histories with goals to complete several more in the coming months. “We’re very proud of the project because we did not have any documentation of human stories in Edmonton, this is the only one at this moment.” noted Lennon. The project has given many senior Chinese Edmontonians an opportunity to leave a record for their family, and to place their experiences in the bigger picture of city-building in Edmonton. “All of these stories have never been told before,” notes Lennon. The oral histories will be incorporated into the Library collection, but Kong and Lennon hope the project will have much larger meaning for the next generation of Chinese Edmontonians. “The resilience among these individuals; they are role models for many of us and I hope that younger generations also appreciate them so that when [they] experience challenges, they’ll look back or think I’ve heard that story before, somebody had bigger challenges than me and they made it, and that might give them extra strength.” says Lennon. Looking ahead, the library’s volunteers are optimistic they can meet the changing nature of information consumption, and stay relevant in the community. “There’s a big gap. We have a generation of young people that cannot read Chinese but they have this desire to learn about the past, the culture, the customs, why things happened certain ways.” said Lennon. In the coming year, the Edmonton Chinatown Chinese Library hopes to expand programs, and to translate and digitize their oral history material to add a rich new chapter layer to Edmonton’s historical narrative. The EHC’s Heritage Community Investment Program invests funds—provided by the City of Edmonton—into the stabilization, increased professionalism and innovation of heritage in Edmonton, for Edmontonians.